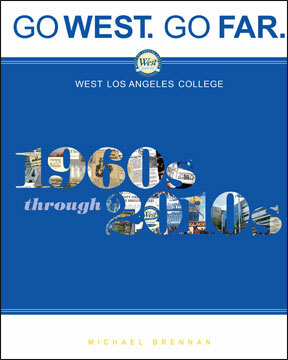 To commemorate the college’s 45th birthday, the West Los Angeles College commissioned a comprehensive compilation of important periods, events and people in the college’s history resulting in West Los Angeles College 1960s through 2010s. This web site contains edited excerpts from that book. We hope you enjoy this site. Also, you are encouraged to submit any suggestions, additional information or photos which may be used in a future edition of the college history book and/or on the web site. West Los Angeles College is an accredited community college offering full-time, part-time and online paths to university transfer, Associate degrees and skill certificates, and career training. West was founded in 1969 and is located where Los Angeles and Culver City meet at 9000 Overland Avenue, Culver City, CA 90230. To send your story to West ...click here.